Ewing Construction & Roofing - WHY METAL ROOFS? and lower the cost of the job. not know about metal roofing. Our metal roofs are Energy Star rated. Tests have shown that a metal roof installed with battens can reduce the heat gain in the home's living space by up to 45%. There are many options for styles and colors, including the old-fashioned corrugated steel sheets, stylish panels that are painted and ribbed, and the increasingly popular metal shingles. When properly installed, metal roofing should last as long as the house! Metal roofs completely seal out water and are capable of surviving high winds. 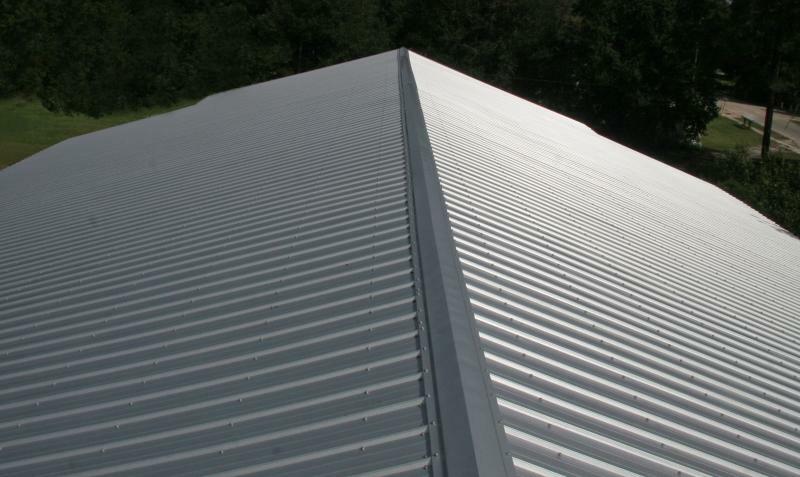 Metal roofing is resistant to fire, mildew, insects, and rot. Metal roofing is more durable and resistant than most other materials. Metal roofs can be installed over an existing roof. This saves the cost and time of tearing off an old roof (and in turn saves space in local landfills)! With metal roofing, you won’t have the issue of patching and replacing shingles here and there (only to find the roof still leaks)! Metal roofing will last. Metal roofs are made from 60-65% recyclable materials.